The Australian government is being urged to commit $500m in a ten-point plan to help secure the future of the Great Barrier Reef. 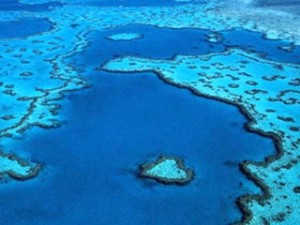 The status of the Great Barrier Reef will be debated in June by the UNESCO World Heritage Committee. WWF-Australia and the Australian Marine Conservation Society have issued list of urgent actions needed from the Queensland state and Australian federal governments before countries gather in Bonn, Germany for that meeting. Commit at least AUS$500 million over the next five years in the federal budget to fund the Reef 2050 Long Term Sustainability Plan. Introduce state laws to ban the dumping of dredge spoil in the Great Barrier Reef World Heritage Area, restrict port construction alongside the reef, limit capital dredging and trans-shipping, and protect the Fitzroy Delta. Enforce existing water quality regulations and require farmers to be accredited to best practice guidelines or to operate under an environmental risk management plan. Strengthen the Great Barrier Reef Marine Park Authority by enhancing its independence and providing sufficient resources.